Where heaven and earth never meet, you’ll find the vast plain of Campo de San Juan. A seemingly endless space, ideal to recreate your senses and have a rest from your trip, while your eyes continue travelling over the infinite nuances of this land full of history and finally pause to enjoy the marvellous spectacle of the sunset. 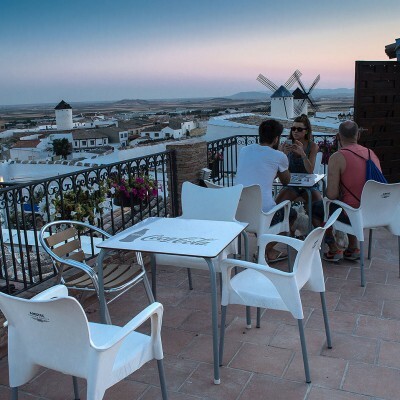 What could be better than marveling at the rich culinary culture and historical past of La Mancha while enjoying a delicious dinner in one of the area’s most privileged spots? 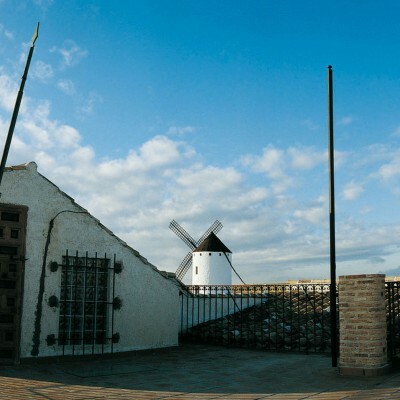 Cueva La Martina is surrounded by the windmills, which apparently are the ones that truly inspired Miguel de Cervantes when writing Don Quixote’s adventures..
We offer you in our Restaurant a beautiful experience you’ll hardly forget: Visit our 16th century cave-dwelling, carved into the rock in the heart of the Sierra de los Molinos windmill-hill of Criptana. All spaces are decorated with several utensils that served the inhabitants for centuries to carry out their agricultural and/or domestic activities. Enjoy a first-class gastronomic feast surrounded by the history and the ‘savoir faire’ of our people. 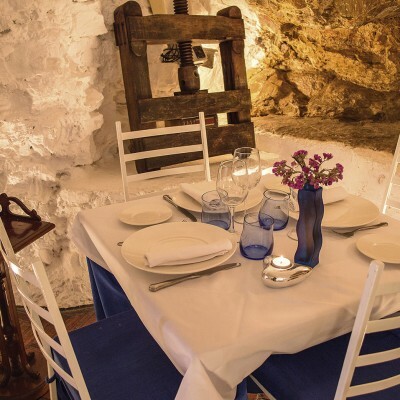 Our cuisine is a good example of the generosity and ingenuity of the La Mancha gastronomy, which is based on the rich traditions of the area and top-quality local products. In combination with our innovative proposals we can offer you truly amazing flavors and sensations.